Mango Apple Chia: These bars are made with exactly three ingredients – mangos, apples, and chia seeds. 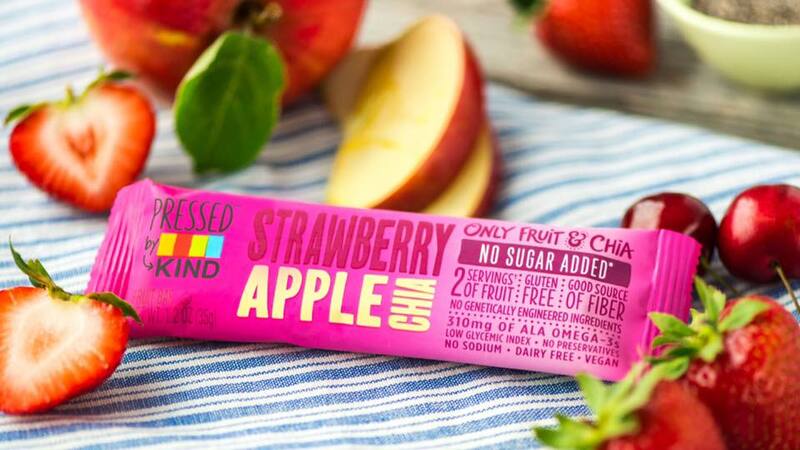 Strawberry Apple Cherry Chia: Four ingredients – strawberries, apples, cherries, and chia seeds – are used to make these bars. Cherry Apple Chia: Made with three ingredients – cherries, apples, and chia seeds – these bars are also a good source of iron. 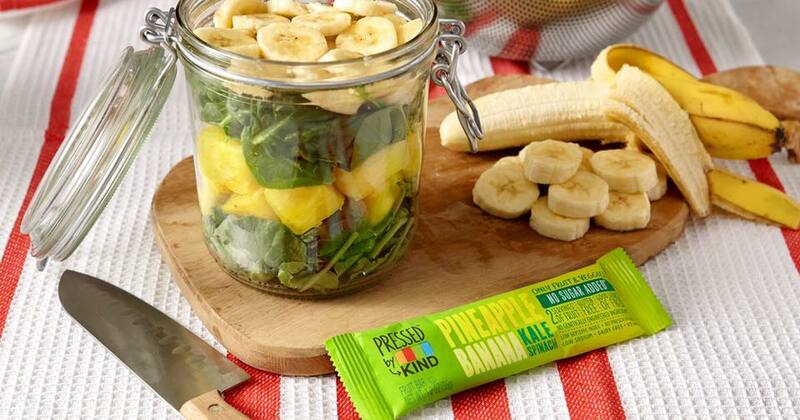 Pineapple Banana Kale Spinach: Only fruit (pineapple, bananas, and apples) and veggies (kale and spinach) go into making these fruit and veggie bars. Dark Chocolate Strawberry: For those who enjoy dark chocolate strawberries but can’t take them on the go (what a mess that would be! ), the Dark Chocolate Strawberry Bar made with apples, strawberries, cherries, chia seeds, palm kernel oil, sugar, chicory root fiber, unsweetened chocolate, cocoa powder, soy lecithin, natural flavor, sea salt, and cocoa butter is the answer. Each 1.34 ounce bar contains 130 calories, 2.5 grams of fat (1.5 grams of which is saturated), 19 grams of sugar (with only 1 gram of added sugar; the rest of the sugar comes from the fruit), 6 grams of fiber, 1 gram of protein, and 10 mg of sodium. Dark Chocolate Banana: When I was young, I would often peel a banana and put a stick in the center before dipping the banana on a stick in melted chocolate. When the chocolate dripping started to slow, I placed the chocolate covered banana on a stick on a piece of wax paper in the freezer. I now put Pressed By KIND® Dark Chocolate Banana Bars in the freezer when I want a frozen chocolate covered banana treat. Made with bananas, apples, palm kernel oil, sugar, chicory root fiber, unsweetened chocolate, cocoa powder, soy lecithin, natural flavor, sea salt, and cocoa butter, the Dark Chocolate Banana Bar tastes like a decadent treat. Each 1.34-ounce bar contains 130 calories, 2 grams of fat (1.5 grams of which is saturated), 18 grams of sugar (of which only 1 gram is added sugar; the rest of the sugar comes from the fruit), 4 grams of fiber, 1 gram of protein, and 15 mg of sodium. 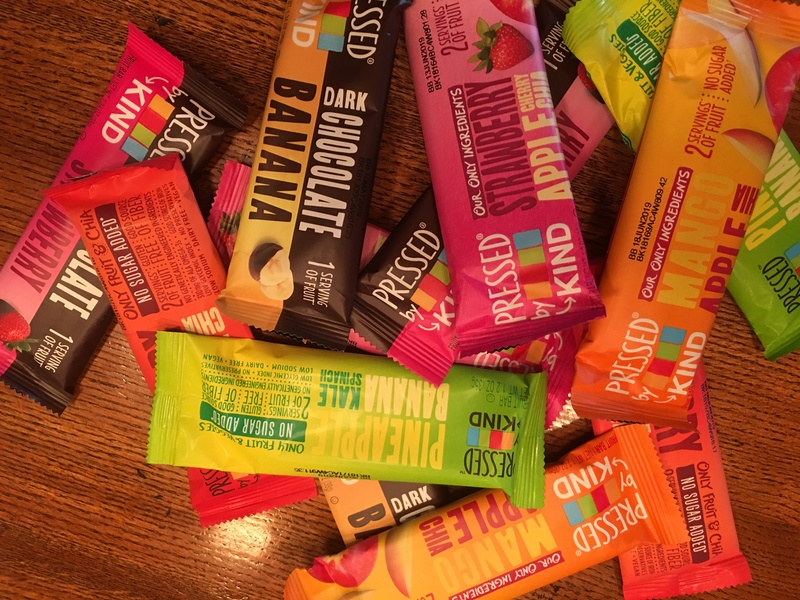 Pressed By KIND® bars are sold nationwide at grocery stores or on-line at retailers including www.kindsnacks.com where a box of 12 bars sell for $15-$18.